**Edition of 200** Anthoney J Hart a.k.a. 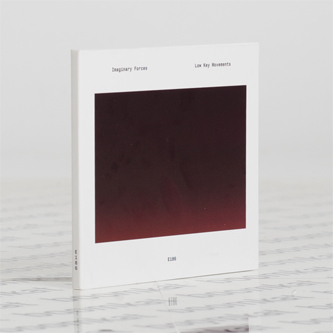 Imaginary Forces offers a typically ascetic suite of broken techno and invasive electronics with 'Low Key Movements' for Entr'acte. Last spotted on the 'Shift Work' 12" for Bedouin Records - and, before that on a stack for his own Sleep Codes label - over the past five years of releases Anthoney has established a probing, antagonistic style and rhetoric heavily informed by his working class background and inspirations ranging from Pan Sonic thru to Coil, Source Direct and The Fall. Under a title hearkening to his Junglist background, 'Low Key Movements' packs nine unyielding and brutalist electronic structures framed between biting-point distortion, welting subs and sawn-off drums all connoting a claustrophobic physical presence and feeling of dread anticipation also reflected in track titles such as 'A Bedroom in Woodford Green', 'Armshouse' or Skatta'.